Educational Background: Masters of Educational Psychology (1993), University of Colorado at Boulder. Bachelor of Arts (1987), Major: Psychology – Metropolitan State College, Denver Colorado. Charlie is a Colorado Department of Education credentialed school psychologist who has maintained both a private practice and employment in the public school system for more than twenty years. 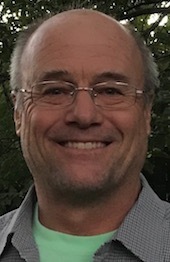 He is a past president of the Colorado Society of School Psychologists, has co-authored two professional journal articles on the Content of Undergraduate Transpersonal Psychology Courses and Reasons for not Reporting Peak Experiences. In addition, he was employed by the Institute of Behavioral Genetics to assess cognition for a long term study that focused on learning disabilities. As a psycho-educational diagnostician, Charlie’s goal is to effectively integrate intellectual abilities, academic skills, and personality characteristics, in developing an effective treatment plan to address the client’s area(s) of concern. In addition, executive functioning abilities, as well as attention/inattention skills, are also evaluated. The assessment process enables the client to gain a comprehensive understanding of how these factors impact their educational performance, employment expectations, interpersonal relationships and their intrapersonal self perceptions or self esteem. Clients can schedule a free telephone consultation to review their individual concerns and help to determine if psychometric assessment is warranted. If so, an initial intake meeting with a structured interview will be scheduled to help determine what specific tests are indicated, depending on the specific questions that the client wants answered. As noted above Charlie is trained to assess intelligence, attentional impairments, achievement, and to provide personality/emotional profiles. Please note that Boulder Psychotherapy Group (BPG) is a marketing service for its members. You should be aware that other than this marketing service, there is no other relationship between BPG members and Boulder Psychological Services, LLC. or the Boulder Psychotherapy Group. The professionals listed in the Boulder Psychotherapy Group are each in their own individual practice and do not supervise one another; and they have no responsibility for each others' practice.